A handmade felt wall piece made with dyed, unspun wool and yarns. 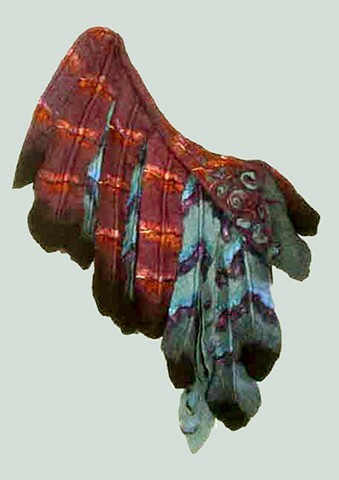 The image is based on hawk wings, with colors from raku pottery. It is cleanable by vacuuming through mesh (provided).